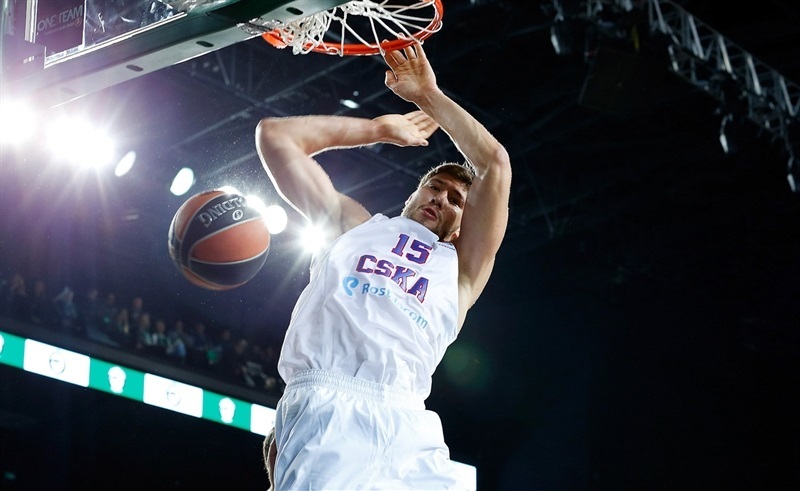 CSKA Moscow kept its undefeated record intact with a comfortable 75-80 road win over Darussafaka Dogus Istanbul on Thursday. 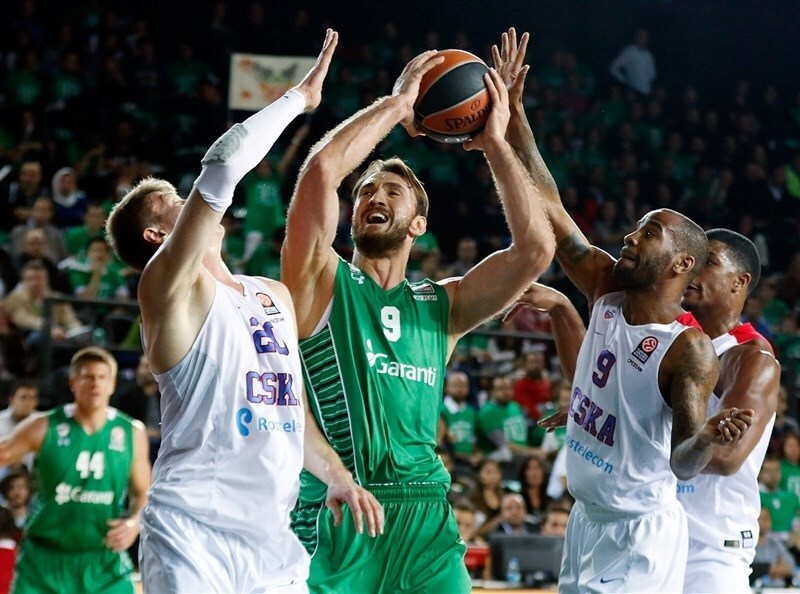 CSKA improved to 4-0, while Darussafaka dropped to 1-3 in Group D. Darussafaka jumped to an early lead, but CSKA replied with a 0-16 run that bridged the first and second quarters and opened a 19-29 lead. 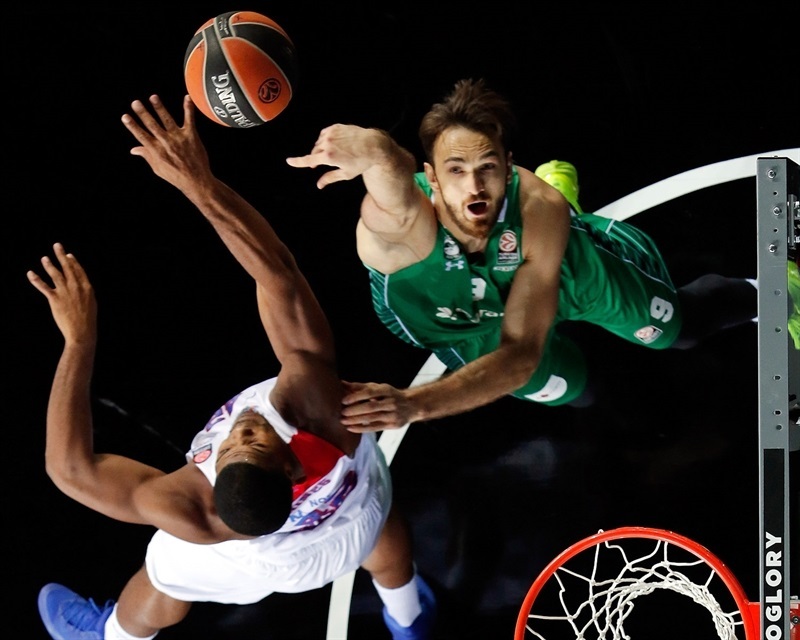 Darussafaka closed to 43-48 at halftime, but it was all CSKA in the third quarter as Nando De Colo and Milos Teodosic led the visitors to a 52-70 advantage after three quarters. 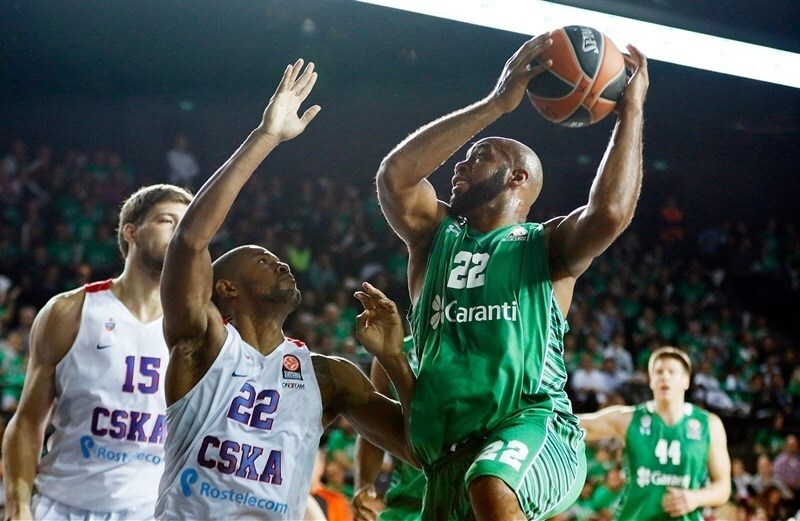 Darussafaka attempted a late rally, but did not get closer than 7 points until the final possession. 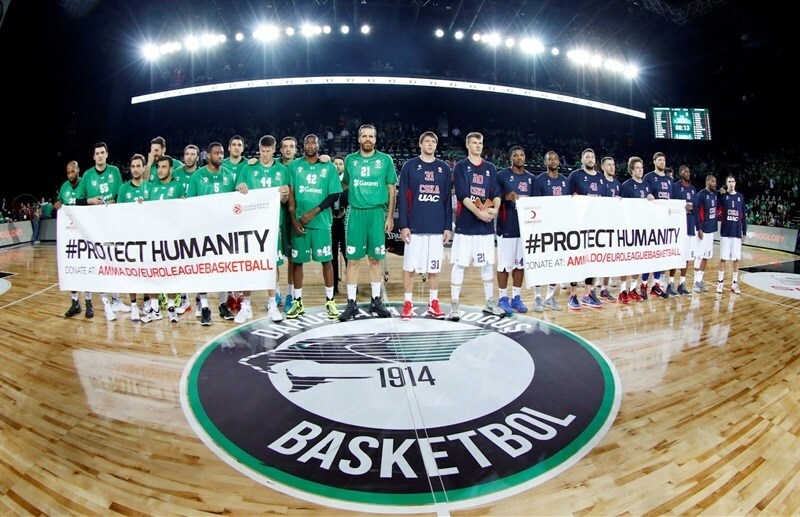 Teodosic finished with 22 points and 9 assists and De Colo scored 19 points with 5 rebounds in victory. Kyle Hines had 9 points and 6 rebounds for CSKA. Luke Harangody led the home team with 18 points and 7 rebounds and Marcus Slaughter collected 12 points and 8 rebounds. Jamon Gordon added 9 points, 5 assists, 4 rebounds and 3 steals in a losing effort. 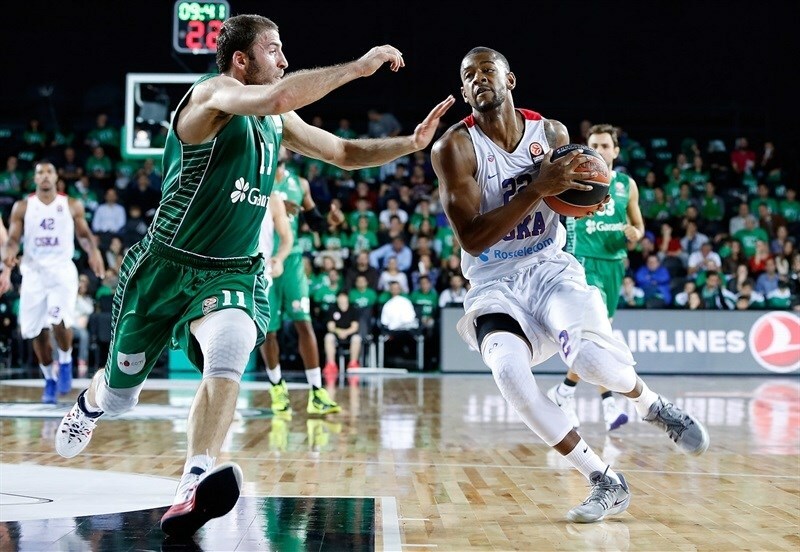 Semih Erden opened the game by splitting free throws and then making a layup, but De Colo drove for an easy layup for CSKA, before Kyle Hines scored inside then added a put-back-plus-foul to make it 3-7. De Colo hit a jumper to extend CSKA's run and lead, before Manuchar Markoishvili hit a baseline jumper to stop the leak. Andrey Vorontsevich knocked down a second-chance jumper, but Luke Harangody fought inside and Markoishvili buried one from downtown to make it 10-11. Harangody had a three-point play on a fast break, but Teodosic nailed a jumper that tied the game at 13-13. Harangody was at it again, knocking down a wide-open triple, and Markoishvili ran the fast break and finished with a layup-plus foul for a 19-13 lead with 2 minutes to go in the quarter. After a timeout, however, Teodosic and Vorontesevich hit back-to-back threes to snap a 14-2 run. 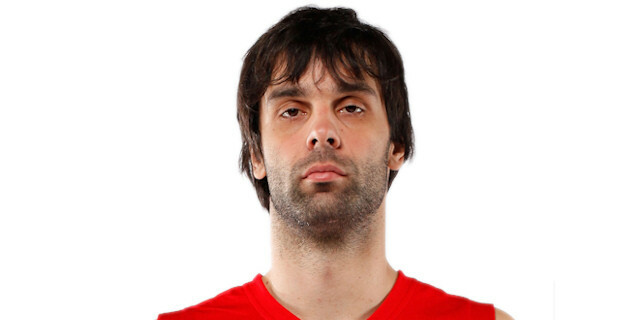 Then Teodosic stepped up. He first made a steal, ran the fastbreak and found Cory Higgins for a layup. On the next possession he perfectly dished a long, one-handed throw to De Colo who scored a layup-plus-foul, ending the quarter with 19-24 score. Hines scored from close range to continue CSKA’s run at the start of the quarter, then De Colo buried a three-pointer that made it 19-29. 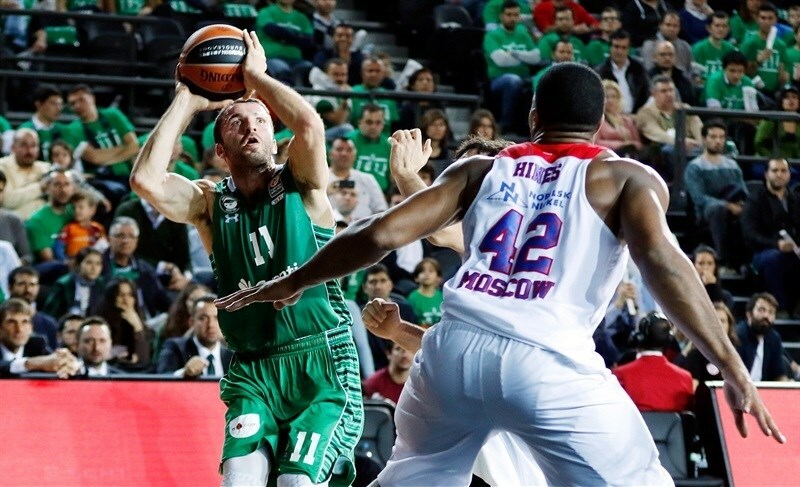 Darussafaka was without a single point for more than four minutes before Emir Preldzic made 2 free throws to snap a 0-16 run. Preldzic banked one in, but Teodosic made a brilliant assist on a De Colo layup. Ender Arslan scored a fastbreak layup for the hosts, but Higgins scored inside on the other end. Arslan hit from long range to help get Darussafaka within 29-33. Teodosic answered with a three-pointer. Marcus Slaughter and Viacheslav Kravtsov traded baskets inside, before Jamon Gordon nailed one from long range. Preldzic made a pair from the foul line to cut the deficit to 2, but Teodosic fed Kravtsov with a bounce pass for an easy layup. Then the two players made 3 free throws to extend the lead to 36-43. Oguz Savas made a short baseline jump shot and traded foul shots with Teodosic. In the final minute of the half, Preldzic beat the shot-clock with a triple, but Aaron Jackson drove to bank in a runner for a 43-48 halftime advantage. Kravtsov split free throws, Nikita Kurbanov scored a baseline jumper on a fast break and Vorontsevich banked in a runner as CSKA extended the margin to 10. Gordon made a floater, but Jackson drove for an easy layup and then fed Teodosic for a fastbreak layup and a 45-57 lead. After a timeout, Gordon scored a short jumper, but Teodosic bettered it with a triple. Slaughter scored inside to cut the difference to 49-60. Teodosic answered by making another three-pointer and Kurbanov’s free throws extended the margin to 16 points. 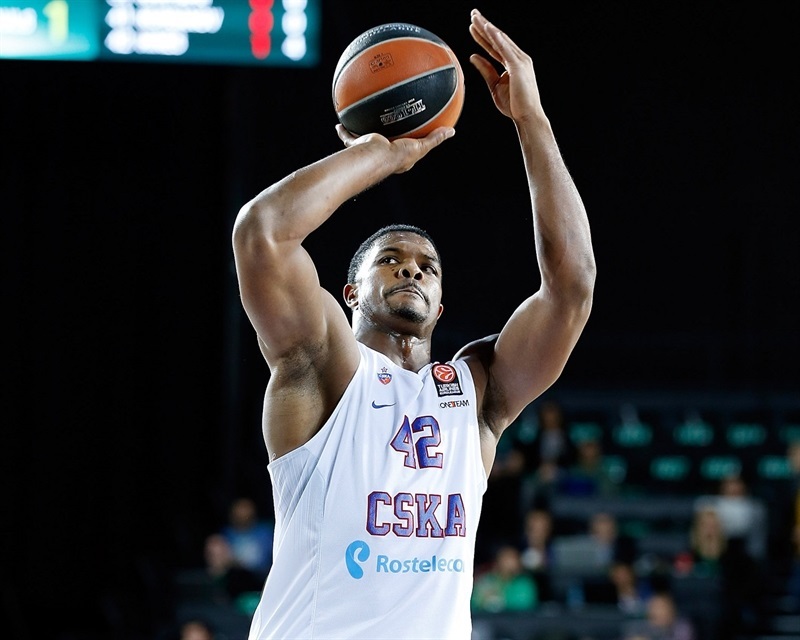 Slaughter made a pair of foul shots for the hosts, but CSKA was in control. Teodosic and De Colo connected again for an easy De Colo layup and a 52-70 advantage. De Colo made it a 20-point contest with a driving layup, but Reggie Redding hit a three-pointer for the hosts. De Colo answered with a reverse layup, but Gordon made a driving layup of his own that cut the deficit to 57-74. A triple from Arslan and a fastbreak layup from Harangody made it 62-74 and prompted visiting coach Dimitris Itoudis to call a timeout. After a timeout, Harangody scored a pair of layups that made it 66-74, before Jackson made a runner that snapped an 11-0 run. Slaughter converted a three-point play that got the hosts within 69-76 with 2:15 to go, but 70 seconds later, Teodosic drove for a layup to make it 69-79 and essentially seal the outcome. In the final 60 seconds, Slaughter made free throws, and Harangody scored a pair of layups to halve the final deficit. "They played at home. They pressured us. They were on the level of the foul and forced some turnovers out of us. This is something we have to talk about definitely. It was our biggest number so far. We did some unforced errors, errors we didn't have to make. We gave them opportunities to come back, for sure. When we had fouls to give in the bonus, we gave up a three-pointer, a basket-and-one, and another basket-and-one. So those are nine points we gave up with three fouls to use. We are mature and experienced enough to handle such situations, but congratulations to Darussafaka, they kept coming back. It's an amazing crowd and a new arena. I think overall we were the better team on court and deserved to win. So congratulations to my players for another Euroleague win, despite the absences we have. And we do miss a lot of players." "It was a very important win for us. Darussafaka is a very good team. They made a good first half. It was hard for us to play here, so I am happy we won tonight. This is another game we should win. We lost 11 balls in the first half. That's the reason we didn't have a bigger advantage at halftime. In the second half. we played much better as a team and that's the reason we won."